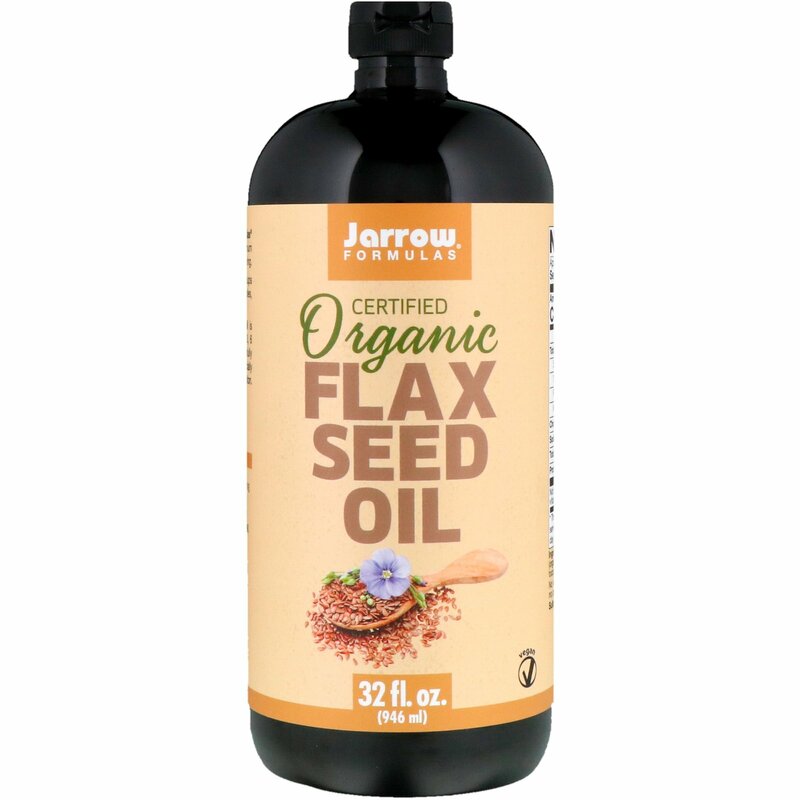 Jarrow Formulas Organic Flax Seed Oil is a concentrated to deliver beneficial Omega 3, 6 and 9 fatty acids. This unrefined oil is carefully pressed from fresh organic flax seeds and specially bottled to protect the oil from fatty acids oxidation. 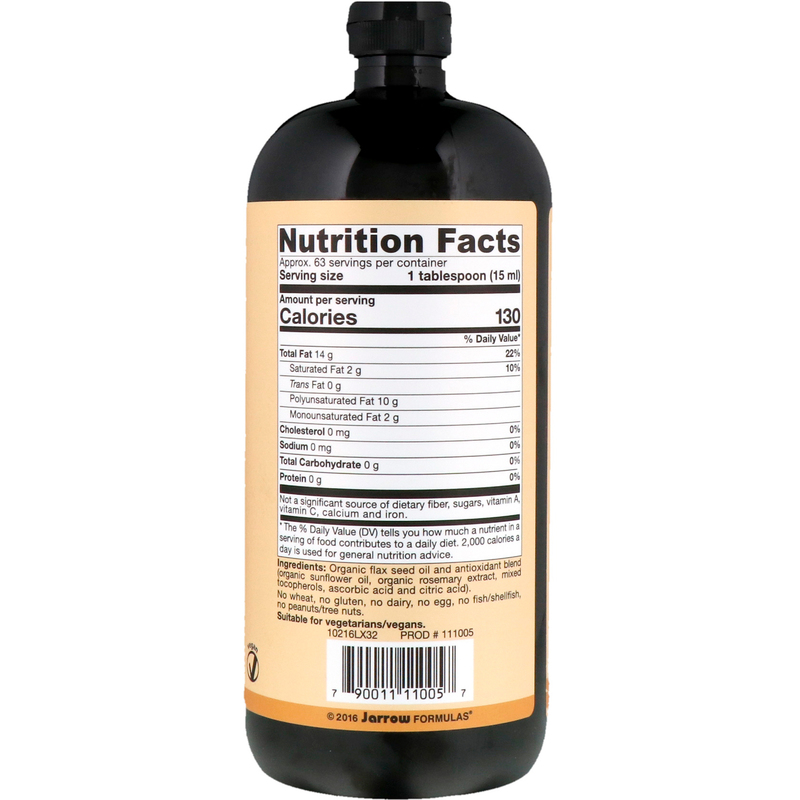 Take 1 tablespoon of Jarrow Formulas Organic Flax Seed Oil per day. For maximum freshness, consume within 6 weeks of opening. Delicious In: Salad dressings, sauces, soups and shakes. Use in place of butter on vegetables, rice, potatoes and toast. Organic flax seed oil and antioxidant blend (organic sunflower oil, organic rosemary extract, mixed tocopherols, ascorbic acid and citric acid). No wheat, no gluten, no dairy, no dairy, no egg, no fish/shellfish, no peanuts / tree nuts. May be frozen to extend shelf life.